Our programs are designed to inspire the inner baker, designer and creator at heart. 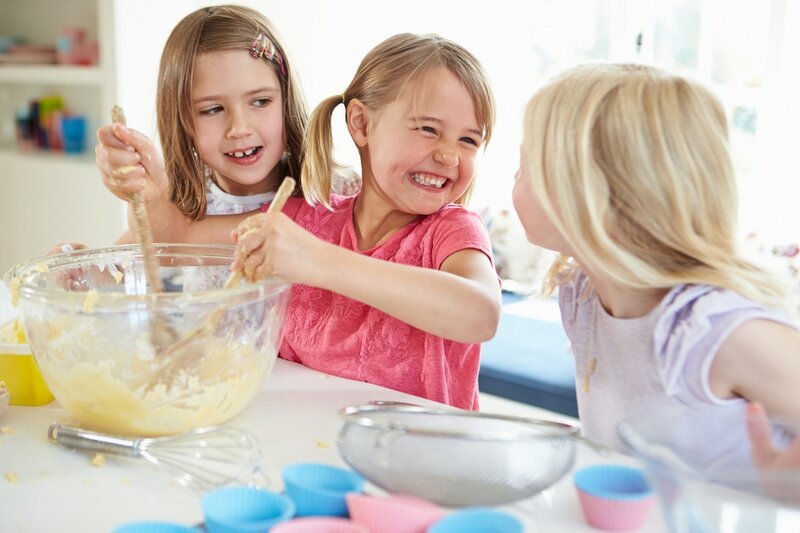 Whether your troop is decorating cakes, making cake pops, or baking up a new recipe, they will leave with a toolbox of new skills to carry them throughout their life. 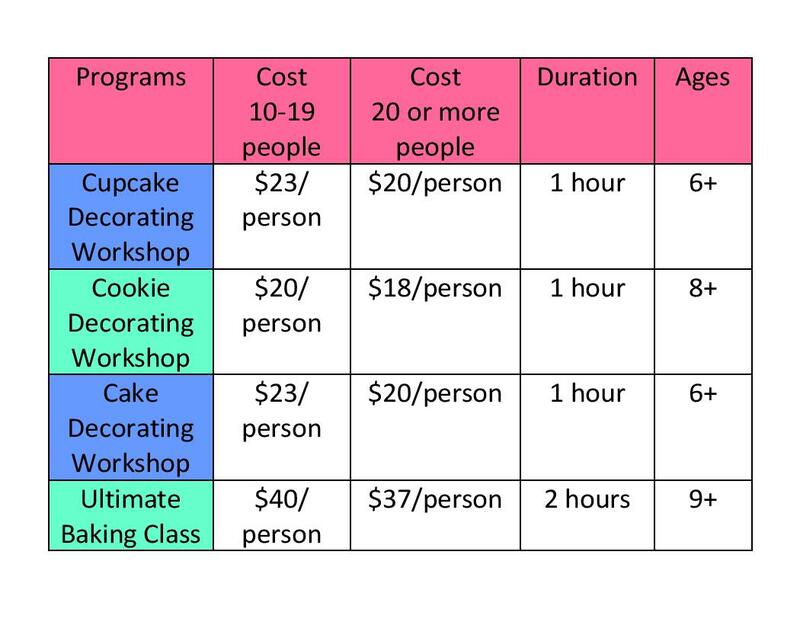 Each child will decorate 6 cupcakes while learning a variety of techniques using fondant, butter cream and piping tips and bags. This program allows students to explore their inner creativity while working on fine motor skills. Each child decorates 6 sugar cookies using our delicious royal icing recipe. Who doesn't dream of being able to decorate their very own cake? We'll walk each child through the steps from assembling to crumb coating to the final masterpiece to create their very own 8" round cake. This program is designed for the girls who may have had some experience in the kitchen and those who are just getting started. We will teach them how to follow a recipe from scratch to design their very own Troop cake, as well as learn fondant, piping and chocolate skills. Troops will enjoy their cake at the end of the class and each girl will get to take home a goody bag of their creations. All party packages are designed with age appropriate lessons for all participants! Do you travel? We will travel to locations for programs, at no charge, that are within 10 miles of McHenry. There is a $.75/mile charge for locations beyond 10 miles of McHenry. Allergies: Our products are baked in a commercial kitchen, licensed by the health department. Products contain eggs, wheat and gluten. While the products do not contain nuts, our facility is not nut free and may not be safe for those with allergies.